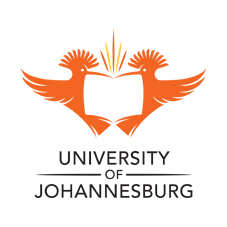 In light of the substantial number of students pursuing their academic endeavours without consuming a regular meal due to inadequate funding, the Vice-Chancellor and Principal of the University of Johannesburg (UJ), Prof Ihron Rensburg, donated R200 000, from his annual remuneration and will continue to contribute, towards UJ’s Needy Student Food Bursary Fund. UJ’s Meal Assistance Programme aims to provide needy students modest food allowances that give them daily access to a balanced meal. More than 2100 students are assisted through the Meal Assistance Programme, which ultimately, enables needy students to obtain their higher education qualification. Furthermore, to nurture and grow postgraduate enrollment, Prof Rensburg contributed R160 000, towards the cost of a Post-Doctoral Fellowship in Higher Education Policy and Leadership. This fellowship focuses on the contemporary evolution of higher education systems, policies and institutional cultures. “My personal contribution is just a drop in the ocean. It is important to foster ideas that nurture students both academically and holistically. Over and above it also represents the guiding principles of the University – to cultivate a rich living and learning community in which students develop a commitment to personal and intellectual growth, leadership and service,” says Prof Rensburg.